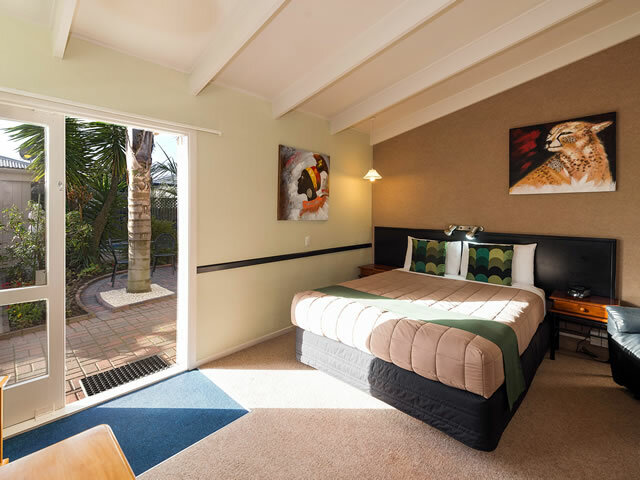 Spacious, geo-thermally heated and sunny, Rotorua motel room set in our semi-tropical gardens near the pools. 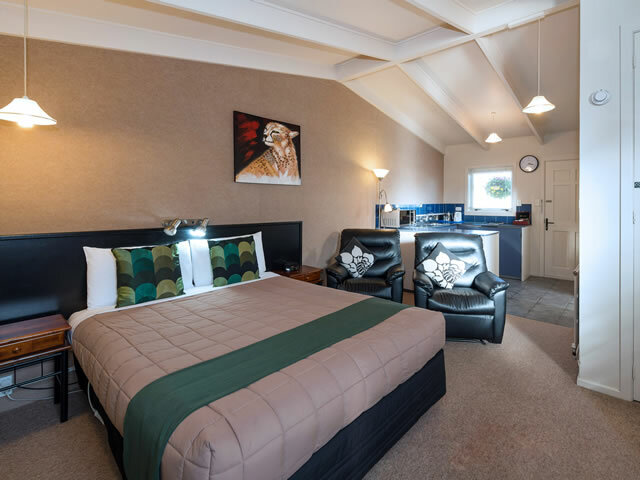 Apartment is fully furnished, self contained and includes Queen bed, reclining armchairs, dining table and chairs, 32" LCD TV with 10 SKY channels and DVD player. Kitchenette comes with 2 hot plates, microwave and under counter fridge/freezer. 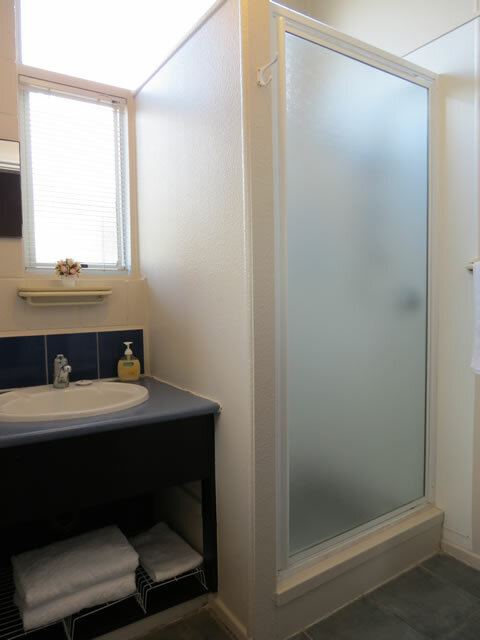 Also has own separate shower, toilet and vanity. 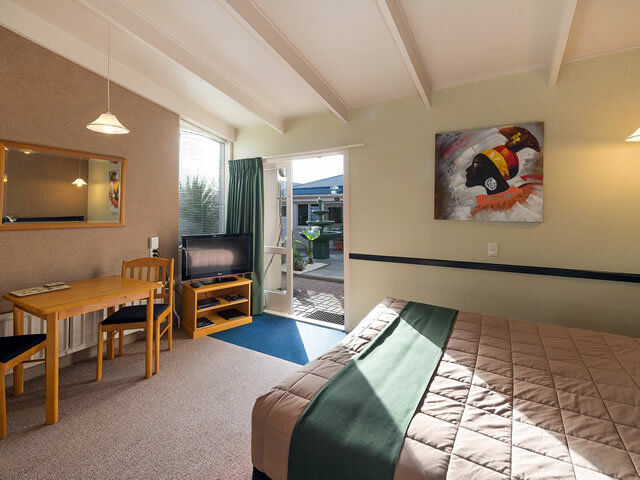 Ground floor, non-smoking apartment with outside table & chairs, and off street parking by the door. Maximum occupancy 3 guests.